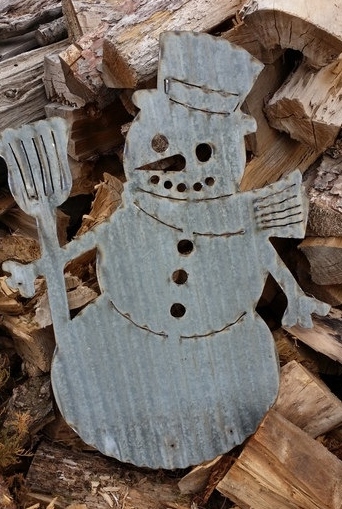 This is a Vintage Style Corrugated Snowman Metal Sign. Paint your own words on it or leave it raw. This sign is made just for you. Measures 34 1/4" x 27 1/2". Please allow for slight variances in all of our product because they are hand made. No two will be exactly the same.